Fantastic accommodation! Host was lovely, she fetched us from the port on arrival and checked us in early. Room was perfect, with everything we needed and the view was to die for! We watched the sunset every evening from our balcony! We will definitely be back! TV had international channels in English. The owners picked up and took us to the port 4km away. Nice. 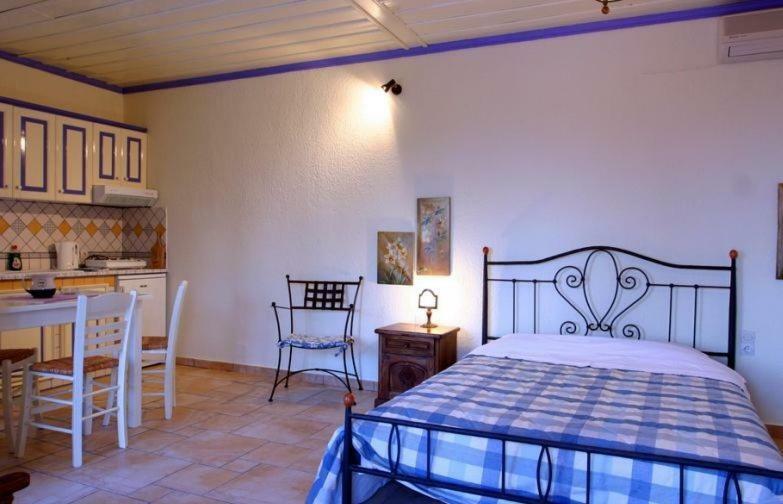 Excellent location, near all local tavernas and shops and regular bus service to nearest main town. Nearby beach with sunbeds, umbrellas, two tavernas, changing facilities and Wi-Fi. Ferry service to island easy and more than one option. Owner collects you from the port on arrival if required. Peaceful apartment, no traffic noise, beautiful views, owner very helpful and keeps apartments very clean. Would highly recommend for a relaxing holiday. 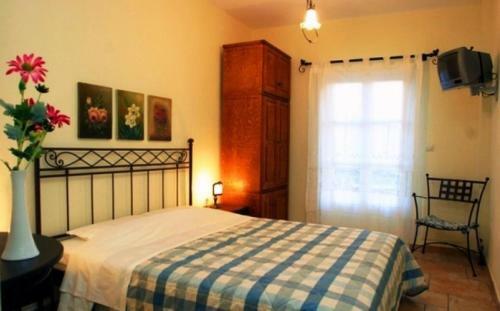 Beautifully maintained, equipped,clean & spacious room. The room was really specious, comfortable and super clean all the time! We found it to be better than on the photos. Ms Elen, which was a very sweet lady, cleaned it and provided us with clean towels everyday. We travelled with our two dogs so the spacious balcony helped a lot when all of us were having breakfast enjoying the beautiful scenery. The kichenette was great for preparing breakfast but could be a pain if wanted to cook a meal since the cooker was really slow and it would take ages. Location wise was great too, since we were relatively close to the parking lot but also in the heart of the village. The matress was comfortable, and there was also a sofa that could turn into a single bed for a kid to sleep on. Fantastic place, so friendly and lovely staff! We have stayed there many times and each time so super. Very clean and comfort. Excellent location in old village. This is GOOD! 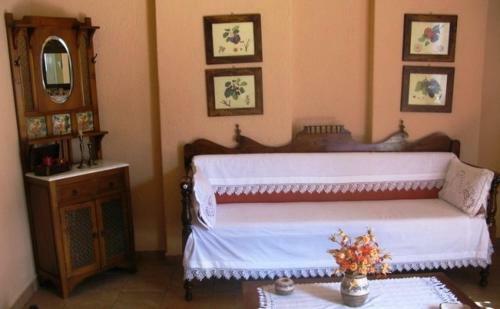 Very beautiful room right in the old town... Tourist don't stop taking picture about the balcony! I love the harmony of this place. I´ve been travelling in Greece every summer since 2005 and have visited more than 20 islands and this is one of my favourite places to stay. The apartment was comfortable, clean and the location in the middle of old town (but very quiet) was perfect. 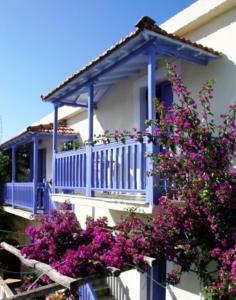 We loved our stay at chiliadromia on alonissos Island. Lock in a great price for Chiliadromia Studios – rated 9.4 by recent guests! One of our best sellers in Alonnisos! Chiliadromia Studios is a traditional building surrounded by bougainvilleas in the Old Village of Alonissos, on the road that leads to the castle. 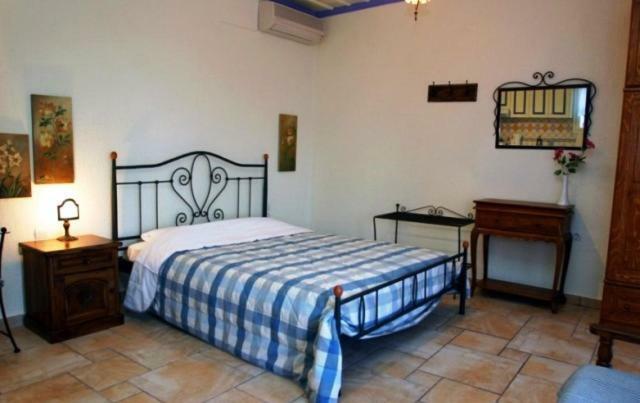 It offers self-catered rooms with free Wi-Fi and a furnished balcony overlooking Kalovoulo Hill and Mikros Mourtias Beach. The air-conditioned rooms at the Chiliadromia are decorated in romantic style with wrought iron beds and white-blue fabrics. 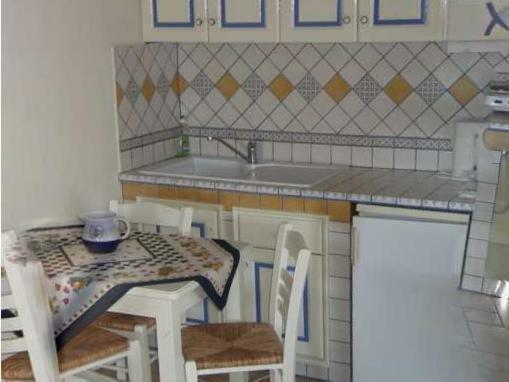 Each has a kitchen with cooking hobs, a fridge and a dining area. A TV and a hairdryer are standard. Traditional restaurants, bakeries and shops are within 350 feet from the property. 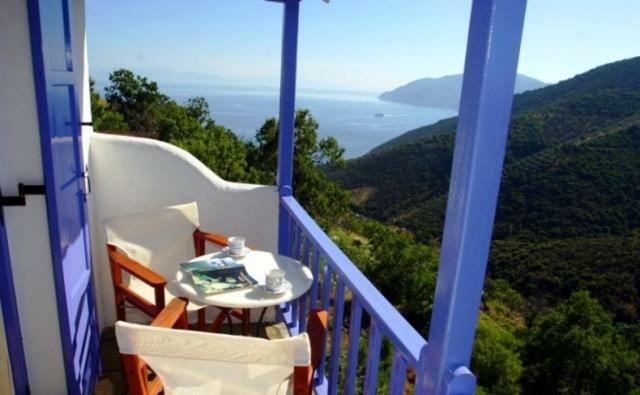 Alonissos Port with seafront taverns and little cafés is just 1.2 mi away. Megalos Mourtias Beach and Yialia Beach are a 10-minute drive away. A bus stops at 350 feet from the hotel and there is a public parking at 500 feet. A free transfer to and from the port is provided. 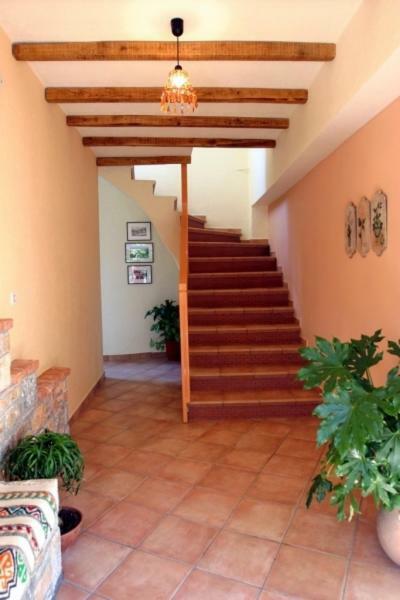 This property is also rated for the best value in Alonnisos! Guests are getting more for their money when compared to other properties in this city. When would you like to stay at Chiliadromia Studios? Offering views of the Aegean Sea from its balcony, this air-conditioned studio has a kitchenette with fridge, stove and a dining area. A TV and free Wi-Fi are available. House Rules Chiliadromia Studios takes special requests – add in the next step! Chiliadromia Studios accepts these cards and reserves the right to temporarily hold an amount prior to arrival. There is a bar downstairs with really loud music till about 3 in the morning. We didn't mind since we liked the music but I wouldn't recommend it to someone who needs quiet in order to sleep. Also the price could be a bit lower for the particular period we visited it (first week of September). 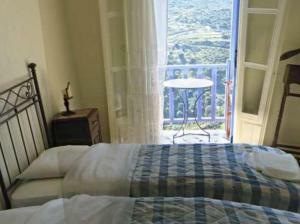 We loved the central location, the wonderful views, very clean and comfortable studio, with bright decor. Friendly welcoming staff. We loved everything about it. The door handle is faulty and the lock is a bit difficult. A stunning view. Large balcony. Attractive and well furnished. A quiet location despite being so close to the central square, and well shaded from the sun so stays quite cool needing minimum air con. Staff are friendly and helpful. All in all very pleasing. We arrived to the Old Village and called the owner to get help on were exactly the apartments are. Her kid came and took us to the apartments. There we ask the owner were the parking is and she replies that there is a public parking 150 meters away and that they do not have their parking because cars are not allowed in the Old Village. WE WERE SHOCKED! We immediatly ask why it is not mentioned on the property that it is not accessible by car, and she responds that "well cars arent allowed in the old village". We respond with saying that we are from another country and that we cannot possibly know this without the property mentioning this on their booking.com profile. She responds with "how much stuff to you have, why is this a problem, its only 150meters away" I think this is enough said about this matter. We bring all the louggage neer the apartments, noone offers us help. We settle in no one offers us a welcome drink after 15minutes of dragging louggage in the scourcing sun. 12 nights we stayed at the property, not once did the owner ask if everything was ok, if we are satisfied, or if we needed anything. And at the end not even a 'hope you enjoyed your stay'. I have been visiting Greece for over 20 years and this is the first time that the owner was so unpolite and uninterested in their guests. - Parking is far away - Owner is not helpful or pleasent - The shower is so small that it is basically impossible to take a normal shower - The windows doors and shades are very noisy. - Two single beds, not good for couples.